DOVER, Del. -- State agriculture officials are warning local businesses and tropical plant buyers to watch out for fire ants. Monday's advisory comes after red fire ants were found in a shipment of palm trees from Florida during a routine check at a Sussex County business. Florida is one of several federally quarantined states from which shipments of plants require inspection certificates. Delaware officials have begun a treatment program to eliminate the fire ants, which build mounds that can be 18 inches high and three feet across, with no visible external opening, unlike ant hills. 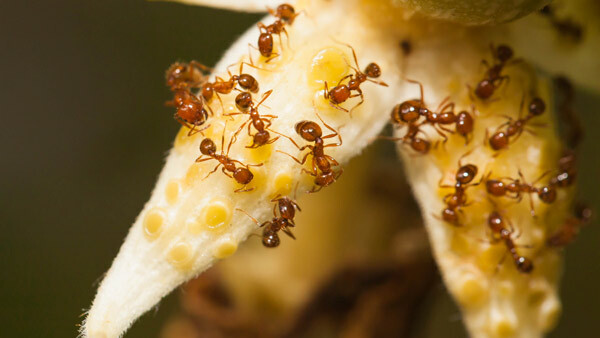 Worker ants, which can sting repeatedly, will attack anything that disturbs their mounds or food sources. The stings are very painful, and venom from fire ants can cause a variety of symptoms in humans and animals.